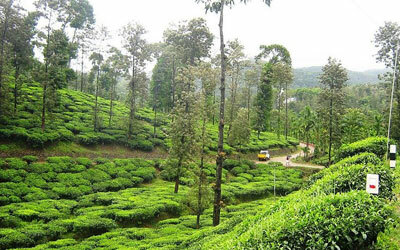 A beautiful hill station in Idukki district, Peerumedu is an abode of pristine beauty and serene ambience of nature. The spectacular destination is situated just 40 km away from Kumily and is ideally placed 915 m above the sea level. Peerumedu got its name from the sufi saint Peer Mohammed, who lived here. The saint had close association with the Travancore royal family. Peermedu means 'Hills of Peer'. There is also a talk that the name came from guava trees. Guava trees were abundant in the hills and Guava is called as 'Pera' in Malayalam. Thus 'Pera' changed into 'Peeru' later. Peermedu was once the summer residence for the Travancore Kings. Now the summer palace has been maintained as government guest house and is now an important monument here. Peerumedu is also famous for eco-tourism. The breathtaking sights of the coffee, tea, pepper and cardamom plantations, waterfalls etc is something unique, which you can only experience here at this hill station. Peerumedu is an ideal place for you to enjoy trekking, cycling and horse riding. You can explore many places in and around Peerumedu. Some of them are Kuttikanam, Thrissanku hills, Peeru hills, Grampi, Pattumala etc. If you love adventure tourism, Kuttikanam is an ideal place for you. It lies within the territory of Peerumedu, around 3 km away. The place is famous for its lush green plantations. You can enjoy here adventure sports like trekking and paragliding. Around 4 km away from Peerumedu, you can find Thrissanku hills. A very attractive destination, Thrissanku hills offers you a spectacular view of the dawn and the dusk. Just close your eyes and feel the gentle touch of cool breeze here. Another place to explore is the Peeru hills, which is also 4 km away from Peerumedu. Actually the name of the sufi saint Peer Mohammed was given to this hills and as the abode of the Peeru hills, the destination was named Peerumedu. Now you can move on to Grampi, which is also known as Paruthumpara. This place is located around 5 km away from Peerumedu and is unique with its high peaks, rocky plains, hillsides, forest and trekking trails. You can also sight lofty peaks, streams, tea plantations and flowering gardens, just 17 km away from Peerumedu. This place is known as Pattumala. At Peerumedu, don't miss to visit the waterfalls such as Meloram, Nallathanni, Panchalimedu and Valanjamkanam. The cool climate of Peermedu makes it a perfect getaway to enjoy your holidays. 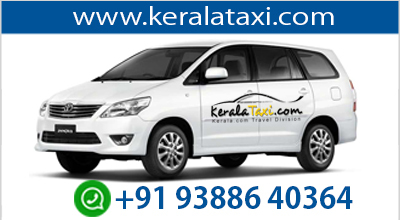 You can travel by bus from Kumily or Kottayam to reach Peerumedu. Even at summer, the temperature varies from 10 to 15 degree Celsius. You can travel by bus from Kumily or Kottayam to reach Peerumedu. Frequent buses are available. Nearest railway station to Peerumedu is Kottayam (54 km).